Many of today's popular SSDs are available in a 2.5" form factor. While ideal for upgrading notebook computers, many servers only accommodate the larger 3.5" form factor, making a 2.5" drive impossible to use. 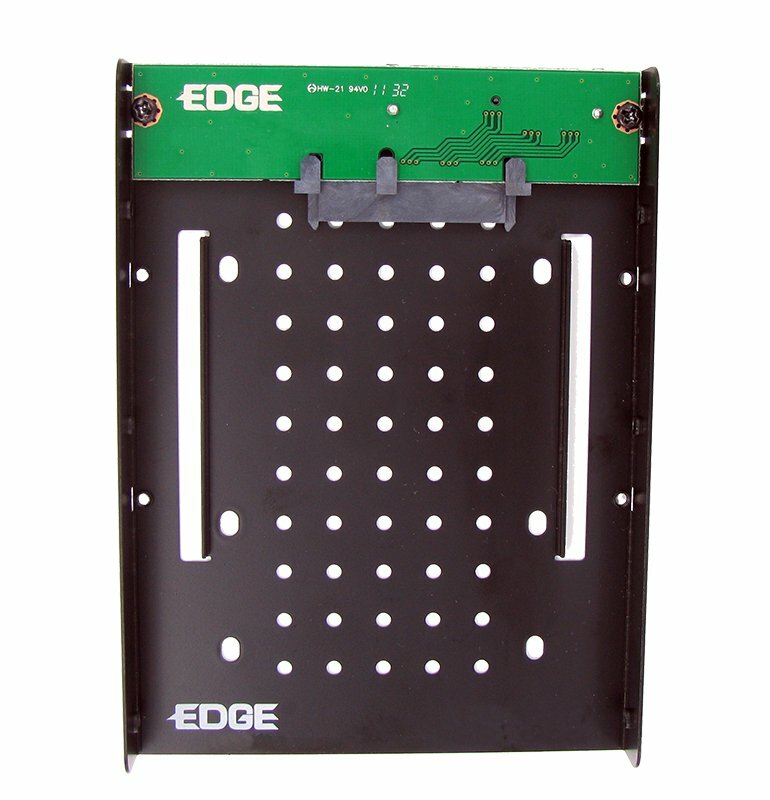 Through extensive research and development, EDGE™ engineers designed a state-of-the art installation bracket for server applications. 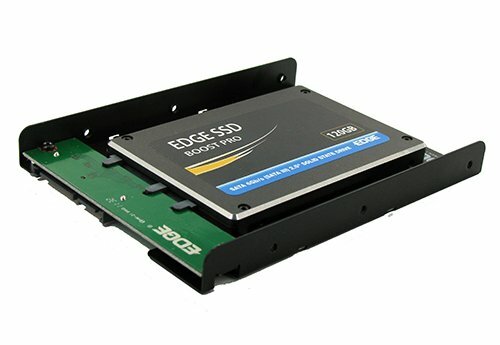 The EDGE SSD Upgrade Kit for Server converts a 2.5" SSD into a 3.5" SSD, making it possible to install into a server that only accepts 3.5" drives. 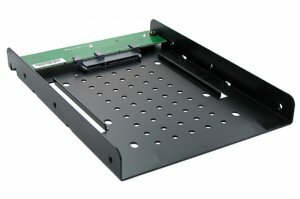 Simply insert a 2.5" SSD into the PCB of the supplied installation bracket and secure with screws (included). When finished, the side and bottom mounting holes of the bracket line up with that of a 3.5" drive. The SATA connector of the bracket is offset to match the design specs of a standard 3.5" SATA connector, which is critical for a successful install. The bracket is made from durable SPCC steel and comes in a sleek, black finish. Ventilation holes on the bottom of the bracket provide extra cooling to the drive. All needed mounting screws are included. 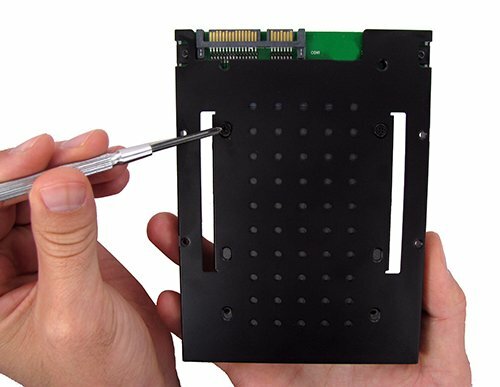 Ensure a perfect fit - make the EDGE SSD Upgrade Kit for Server a part of your SSD upgrade project.